The big SOUP party is our yearly excuse to call up our friends, break bread, and share some big SOUP for an evening. Started in 1993, it has remained one of our favorite events of the year. We have been blessed to have so many wonderful people in our lives. 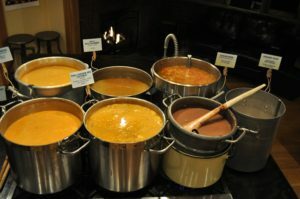 The big Soup party is a way to keep in touch, have some fun, eat a lot of great food, and celebrate SOUP as the most perfect of culinary inventions. The event starts at 6:30 PM and we serve SOUP late into the night. Come at any time. Please bring a bowl, a spoon, and a friend. Awards are given at 9:30 for the biggest spoon used, most original bowl, and furthest distance traveled. Be forewarned, competition for these coveted prizes is fierce. Plan early if you wish to compete! There is absolutely no charge to attend the big Soup party and no one should feel required to make a donation via our big bowl. We would like to encourage everyone to consider the tremendous wealth that we all live in and give serious thought to making a donation to help those less fortunate. We will give the collective donation to the GPCFB on Monday December 6th and we will post the total amount raised here on bigsoup.org. No. We will have 6 VERY LARGE pots of home-made vegan/vegetarian soups. Plus a Chocolate Dessert Soup. Plenty for the whole crowd. We made 50 gallons of soup! You would be welcome to bring a side dish, dessert, appetizer, beer, or bottle of wine, soda, cookies…yes, we appreciate anything you bring… it is a lot of people to feed! Here are the legal places to park around the Neelyhouse, including Waverly Church. 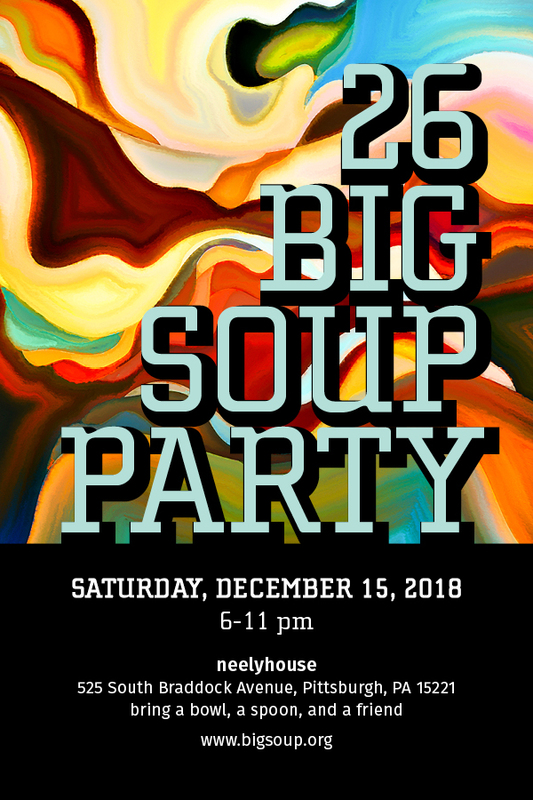 There is absolutely NO charge to attend the big Soup party and no one should feel required to make a donation via our big bowl. We would like to encourage everyone to consider the tremendous wealth that we all live in and give serious thought to making a donation to help those less fortunate. (consider a donation of $5-20+ a person) for the Food Bank. Come, eat, drink, enjoy the fun, AND bring a cash/check to support a good cause! Where do I put my donation to the Food Bank? There will be a large vase on the main table to collect cash and checks made payable to the Greater Pittsburgh Community Food Bank (GPCFB). 100% of the money collected will be given to the Food Bank. The party has a revolving crowd. Some people like to come early and leave early, others come late and stay late, and there is a soup fanatic crowd who arrive at the beginning and don’t leave until well after midnight. We love you all. This year we have decided to start a little earlier than years past, 6:00 PM. 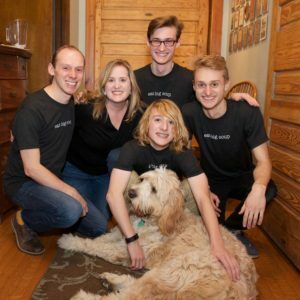 What Can One Person or One Family Do?